With its distinctive colours and attractive bee logo, it isn't hard to spot one of the well-known BusyBees children's day nurseries in towns and cities all over the country. Not only do their bright signs grab your attention, their reputation for providing quality childcare precedes them. 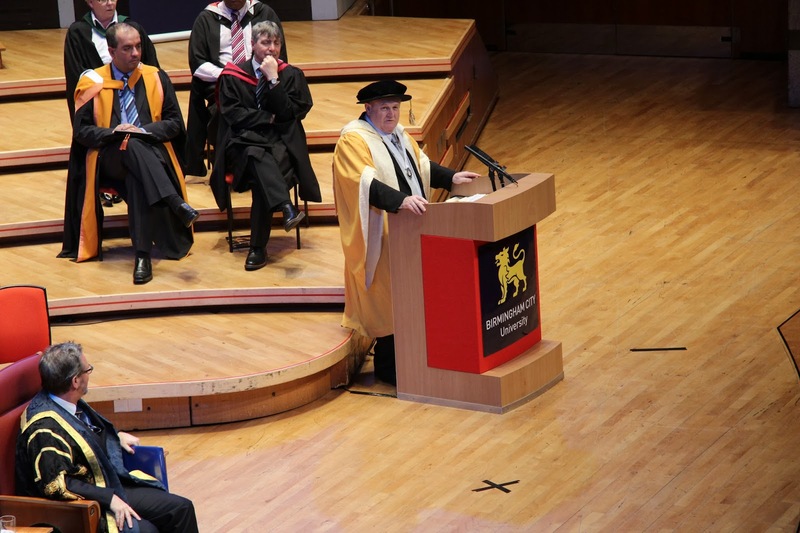 One of the original founders and local businessman, John Woodward, received an Honorary Doctorate at Birmingham City University on Monday [24th February 2014] to recognise his commitment to childcare which began when he trained and worked as a teacher in the 1970s. John, his wife and two other couples pioneered the childcare sector more than 30 years ago when they were unable to find the quality of childcare they wanted for their children. The friends sold their houses and put everything they had into opening their first Lichfield-based nursery, which ensured they would be able to provide the level of childcare and education they required for their own children and those in the local area. Through a lot of hard work and personal sacrifices, Busy Bees has built and acquired nursery settings all over the UK to become the largest and most respected nursery group in the country. Busy Bees currently operates 213 settings and each nursery is designed to meet the needs of children and parents within its locality. John Woodward and Marg Randles, another of the founding members are committed to growing the business significantly with expansion in the UK and internationally. Coinciding with the original intentions for launching Busy Bees, John has always been aware that many parents struggle to find a balance between being able to work and the financial burden of childcare. John launched Busy Bees Childcare Vouchers in 1998 to help working parents pay for their childcare. John saw the importance of helping not only with childcare costs, but also helping to make pay go further; Busy Bees Benefits now provides a wide range of money-saving employee benefits in addition to its Childcare Voucher scheme. Along with playing an active role in both Busy Bees Nurseries and Busy Bees Benefits, John has recently been appointed to the Advisory Board of Estro Catalpa, the largest pre-school operator in the Netherlands. He has also recently been responsible for the Knowledge Universe global business based in Singapore. 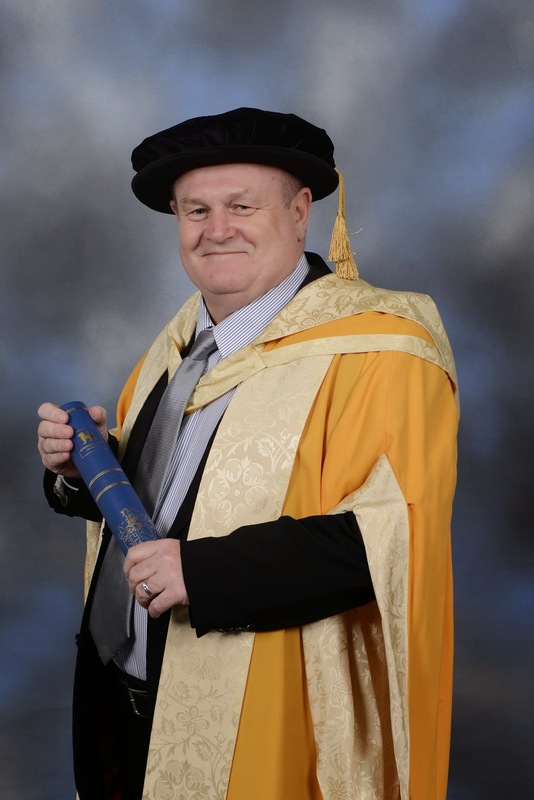 John said "I am delighted and honoured to have received this recognition. Busy Bees has provided childcare for thousands of children over the years and currently employs over 7,000 staff, many of whom are based in the Lichfield area. Busy Bees has an exceptional team and will continue to develop. We look forward to helping more parents with quality, affordable childcare in the future." It is recommended that adults should aim to do 150 minutes of moderate intensity activity per week. One of the chief arguments from people not doing enough exercise is that they don’t have the time. The other barrier is cost, as many people imagine more exercise means an expensive gym membership. New research from the Cycle to Work Alliance shows that joining a Cycle to Work scheme can conquer both of these demons for employees wanting to exercise more. Cycling to work makes exercise a natural part of their day and saves money – on gym fees, petrol, and public transport costs (assuming the whole journey can be completed by bike). The research, titled “The Healthy Commute” surveyed 18,000 employees and over 700 employers who offer the Cycle to Work scheme. Well over half were SMEs. Under the scheme, employers buy bicycles and cycling equipment from approved suppliers, and hire it to employees. Employees pay for the hire via salary sacrifice, which saves them Tax and National Insurance contributions. At the end of the loan period, the employer can give the employee the option to purchase the equipment. Employees can save almost halve the cost of a new bike if they use the scheme. The saying goes that if a drug was invented that brought the same benefits as increased activity, it would be considered a miracle cure. For employees and employers alike, there are great benefits to better health and less sickness. 85% of participants said they noticed health benefits from cycling to work – including increased fitness, increased lung capacity and reduced stress. 97% of employers said they thought the Cycle to Work scheme was vital in achieving a healthier workforce. Nearly three quarters of users said they would not have bought their bike if the scheme had not been available. 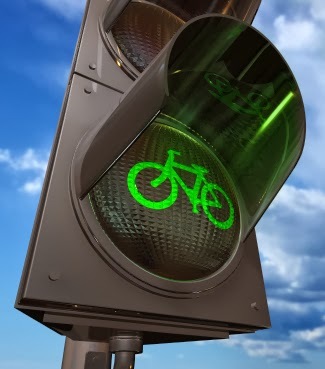 The report also showed that cycling to work fundamentally increases the level of activity in employees - 54% of participants did not cycle to work before signing up to the scheme. Besides the health benefits, the financial benefits for employers are significant too – reducing loss of business due to absenteeism, aiding staff motivation and engagement, and creating National Insurance savings for employers and employees alike. Developing and coordinating a range of employee benefits for your workforce can seem like a headache for many employers. So how do you provide a range of benefits which suit your particular mix of personnel, explain what’s available and keep up with the communication and administration? Larger organisations will do so through their Human Resources department and may even employ a Benefits or Reward Manager specifically for the job. For SMEs however, this does not make financial sense. Technology has of course moved on leaps and bounds in the last few years; there are multiple ways of reaching out to employees besides the traditional methods of sticking a poster on a noticeboard or sending an email. You will need to use as many communication channels as possible to increase employee engagement and improving take up of staff benefits. The latest and best way for organisations, whether large or small, to manage employee benefits is with an online portal. The portal unifies employee benefits and saves employees the hassle of having to find information on intranet sites, the websites of individual benefit providers’ and noticeboards. Busy Bees Benefits’ recently-launched portal ensures employee benefits are accessible by all staff, particularly those whose role does not allow them access to a computer regularly during the working day. Even those without a PC at home can access the Busy Bees Benefits portal on a smartphone or a tablet. Providing access to the portal helps employers fulfil their responsibility to communicate benefits equally to all staff, which is a requirement of many schemes under HMRC rules. The Busy Bees Benefits portal includes access to salary sacrifice schemes for childcare vouchers, mobile phones, cycle to work, car leasing, earn and learn workplace training and workplace parking. Other benefits include discount gift cards, retail discounts, and reduced prices on essential life costs such as car maintenance and producing a legally-binding will. Employees will be able to see the savings made with some of the benefits they already access. They can also find out which other benefits their employer offers that they could sign up to. This is important as it takes account of major changes during an employee’s working life such as buying a car, starting a family or planning for later life as they can opt in when they require a particular benefit. This improves the take up of employee benefits with no extra effort on the part of the employer. 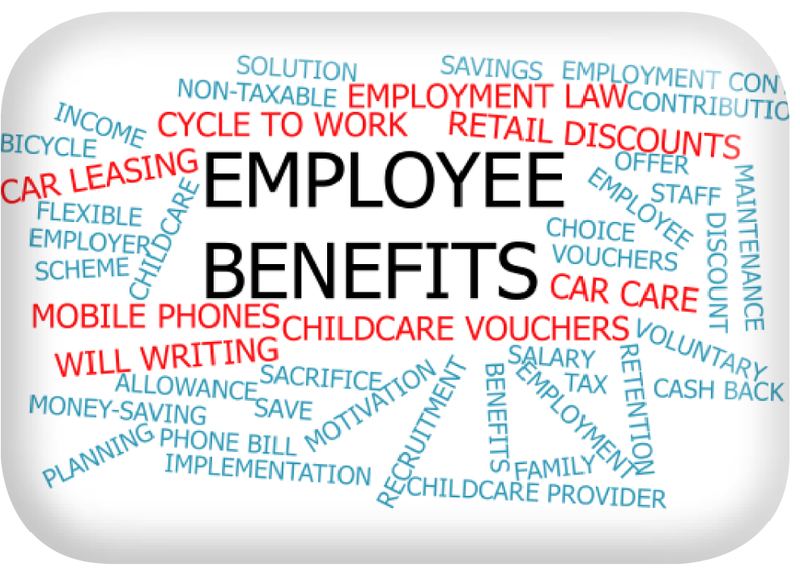 Employees can also see information about other benefits which the company doesn’t currently offer. One of the most difficult things for a company to achieve is a tailored benefits package to suit as many employees as possible. By having information about the range of benefits at their fingertips, staff can then request those that suit them personally, removing the legwork for companies. It also helps employees to understand, appreciate and value their benefits as the portal acts like a bespoke one-stop shop. To reinforce this, it can include the company’s own branding. Distinct from other benefits providers, customers of Busy Bees Benefits can access the portal free of charge. Some companies charge clients a four-figure sum just to provide access to such a service. Importantly for employers, the cost of providing employee benefits to their staff is reduced by providing access via the portal. The benefits are provided at a very competitive service charge and require minimal administration. Benefits need to be meaningful and useful to employees. The combination of salary sacrifice benefits and deals on everyday lifestyle costs on offer at Busy Bees Benefits provides something for every employee. So to take your company’s employee benefits by storm, switch to using Busy Bees Benefits’ portal. For more information, contact 0330 333 9100.